For decades, talcum powder was considered to be a perfectly safe part of a woman’s feminine hygiene routine. Women commonly applied it to their genital area as part of their daily routine. However, new evidence has pointed to the link between ovarian cancer and talcum powder. Women are taking action against the companies who promoted this product as safe for use, even though executives knew there was a potential link between it and ovarian cancer. Johnson & Johnson, the maker of Johnson’s Baby Powder and Shower to Shower products, is being sued by thousands of women across the country who believed that talcum powder was safe and even helpful to use. Just this week, a California jury handed out a $417 million verdict against Johnson & Johnson in a case filed by a woman who developed ovarian cancer. This verdict includes $70 million in compensatory damages and $347 million in punitive damages. The woman, Eva Echeverria, is 63 years old and lives in Los Angeles. She has used Johnson & Johnson baby powder for decades, and stopped in 2016 after learning that usage could lead to ovarian cancer. There is no warning label on the product indicating that ovarian cancer is a possible side effect of usage on the genital area. Echeverria testified in court that if there had been, she would not have used it. There have been more verdicts against Johnson & Johnson in talcum powder cases. This is just the latest one. In May, Johnson & Johnson was hit with a $110 million verdict in the case of a Virginia woman who used Johnson & Johnson products for decades and developed ovarian cancer. Another case last November saw a $70 million verdict. You might think that the Food and Drug Administration would require a warning label. Talcum powder, though, is not a medical product, drug or food, so the FDA has no authority to require any type of warning label, as the FDA often does for drugs with severe side effects. Legally, talcum powder is classified as a cosmetic. 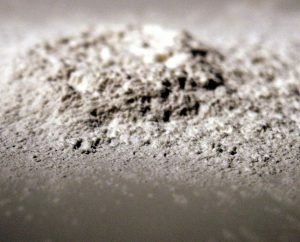 The US National Toxicology Program has not fully reviewed talcum powder, and has not concluded if it is a carcinogen or not. Studies on talcum powder have produced mixed results, with some indicating there is a possible link to ovarian cancer, and some not. The American Cancer Society advises those concerned about talcum powder to avoid it. For its part, Johnson and Johnson indicated it will appeal the verdict. The company said in a public statement that there is no scientific proof that talcum powder causes ovarian cancer, and thus, the company is under no obligation to place a warning on its products. If you are still using talcum powder in the genital area, it is prudent to discuss any concerns you may have with a doctor. If someone you know is still using it, tell them about the risks. And if someone in your family was diagnosed with or died from ovarian cancer and used talcum powder, you may be entitled to pursue a claim. Contact me, attorney Jessica Surber, for a free initial consultation. You can reach me at (270) 781-6500 or jrsurber@elpolaw.com.